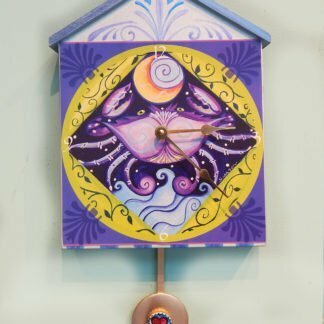 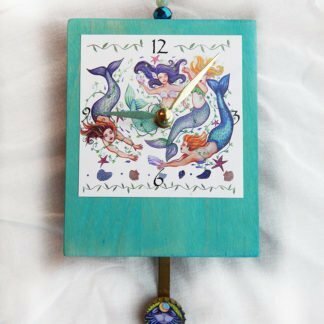 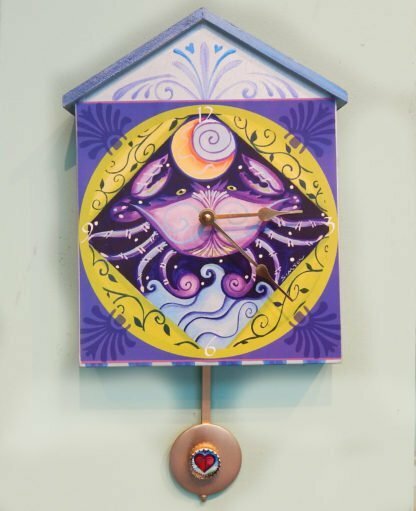 The Crab Clock a great addition to any beach house with it’s mermaid pendulum. 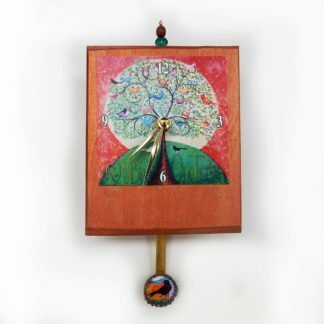 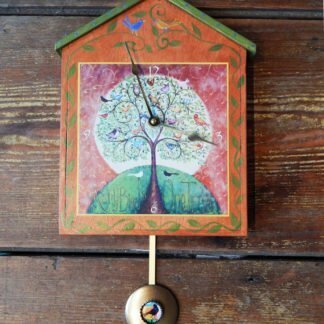 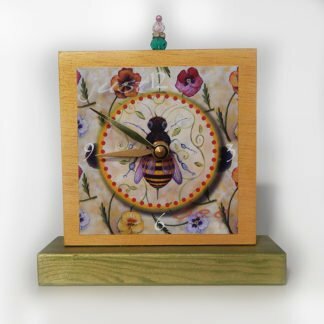 Made by my husband John out in the wood working barn and detail/hand painted by me- the main image is decoupaged in place. 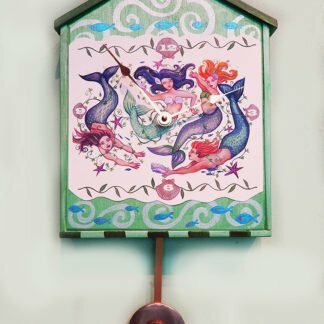 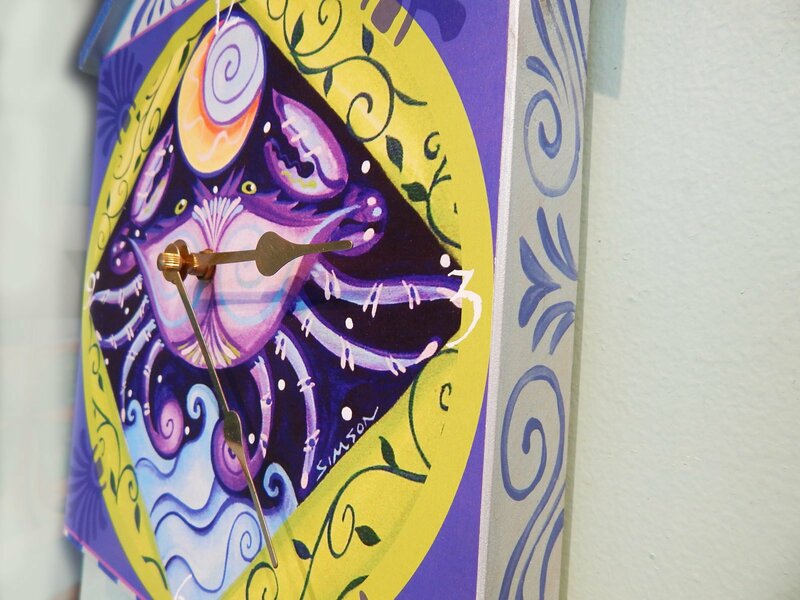 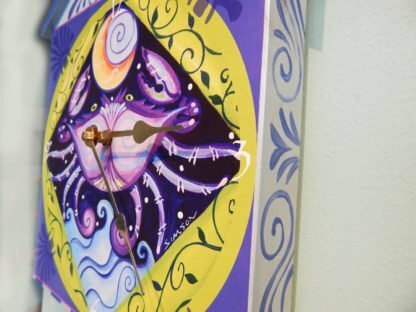 The clock pendulum has a tiny image of a mermaid or the ing.yang fish tucked into a bottle cap on it.